That’s our family. Very sport orientated. We love AFL and Rugby however soccer takes up 6 days of our week. 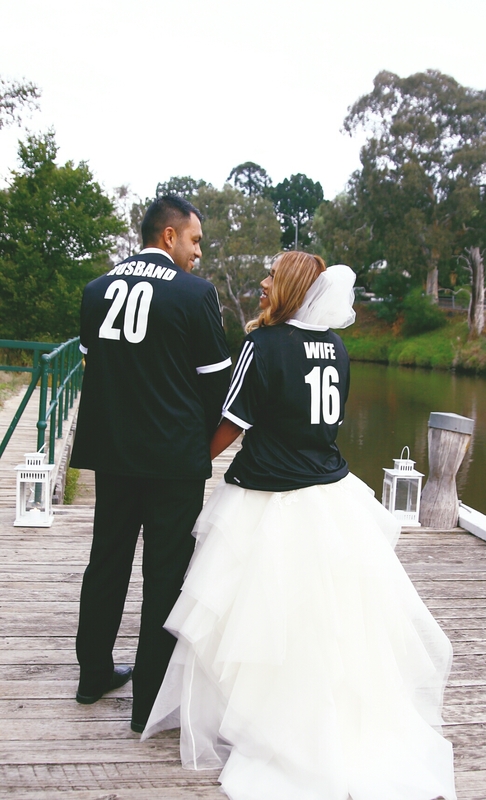 So its only fair to say we are a Soccer family. 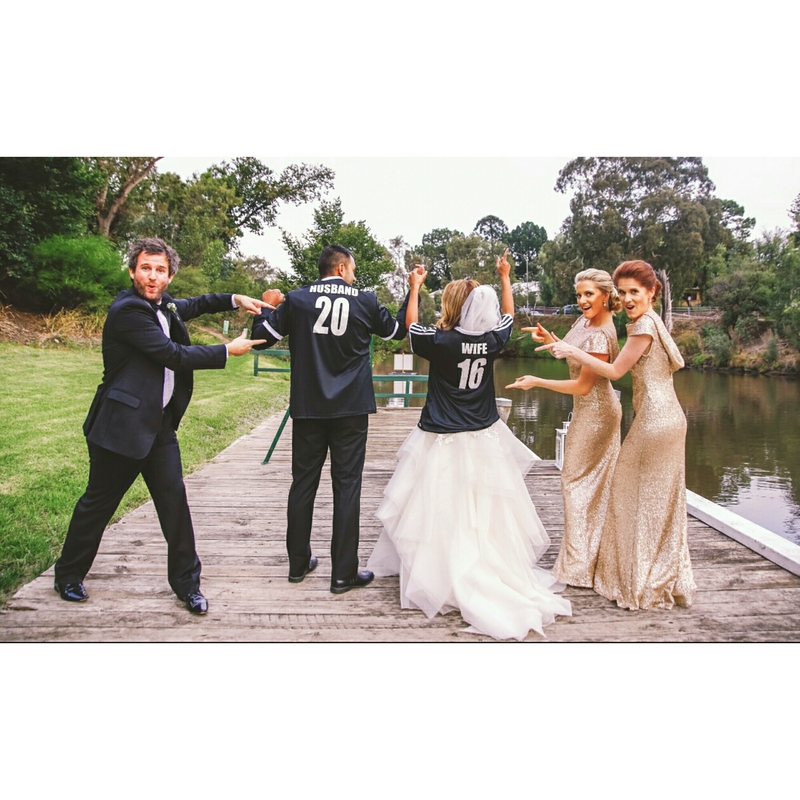 We came up with an idea for our photos after the ceremony…why not have personalised soccer tops. Something fun and different. Obvioisly it’s who we are. One would be husband and the other wife, oh and 2016 for the year married but spilt in half. My husband already knew where we could get them done. It was easy as that and turn around time was 2 weeks.